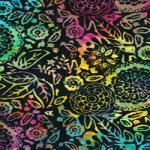 Timeless Treasures is a family owned business dedicated to creating unusual fabric for sewing and quilting. From the beginning they became known for fun novelty prints such as Santa on a surf board, colorful puzzle pieces, or rainbow colored cats. 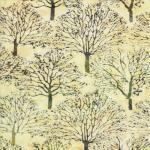 Quality standards were kept high, with only the finest 100% cottons used for the humorous prints. 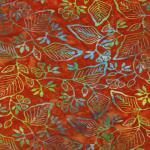 The selection has evolved and diversified to meet customer needs, including the addition of graceful botanical prints, organic cottons and collections of the brilliant Batiks sought after by quilters. The playful spirit, which makes Timeless Treasures a leading seller of novelty fabrics, carries over into their Batik prints with unexpected color combinations and creative geometric prints. 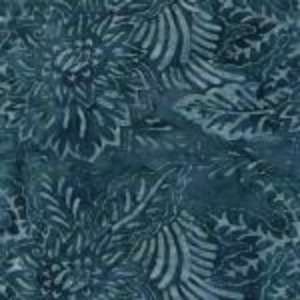 Included in the Batik collections are graceful florals, botanical inspired prints and brilliant tone on tone fabrics guaranteed to inspire colorful quilts, table runners and other home décor sewing. 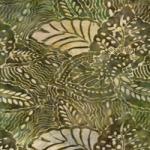 Be sure to see our entire line of Timeless Treasures Batiks.